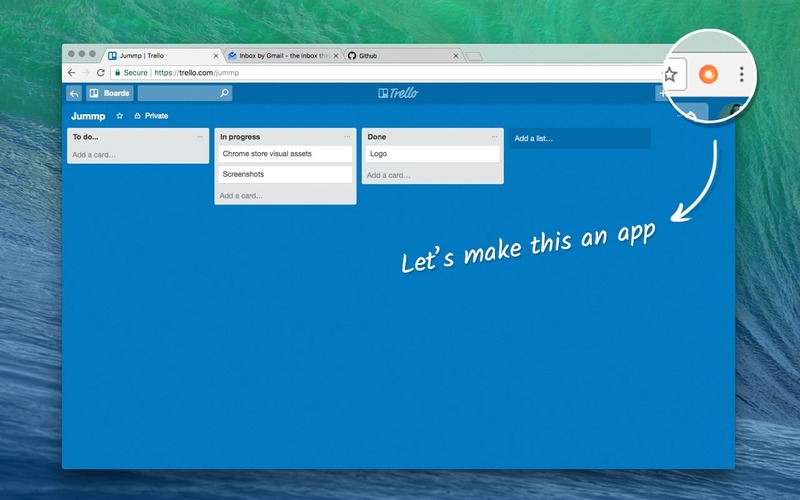 Create browser tabs which behave like apps. Is there a better alternative to Jummp? Is Jummp really the best app in Productivity category? Will Jummp work good on macOS 10.13.4? Jummp allows users to cycle between open browser tabs and windows using Cmd+Tab, just like apps. 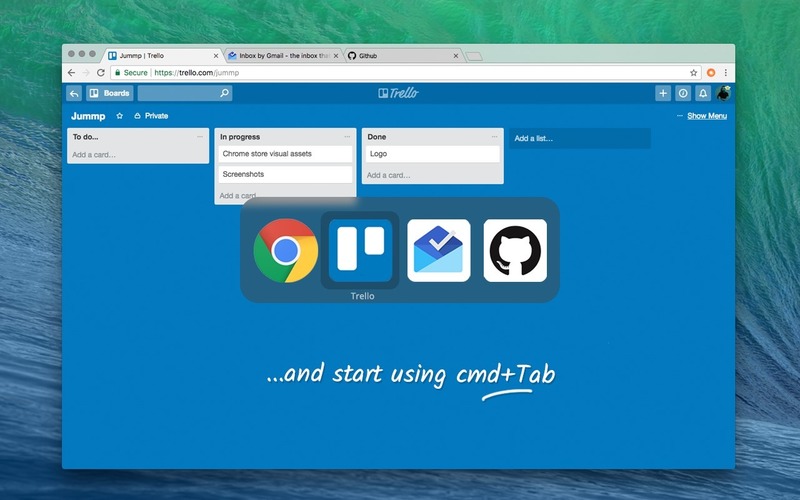 With Jummp, you can turn your tabs into Jummp apps, Cmd+Tab switch to them--even launch them from Spotlight. It is ideally suited for people whose daily workflow includes tons of browser tabs. 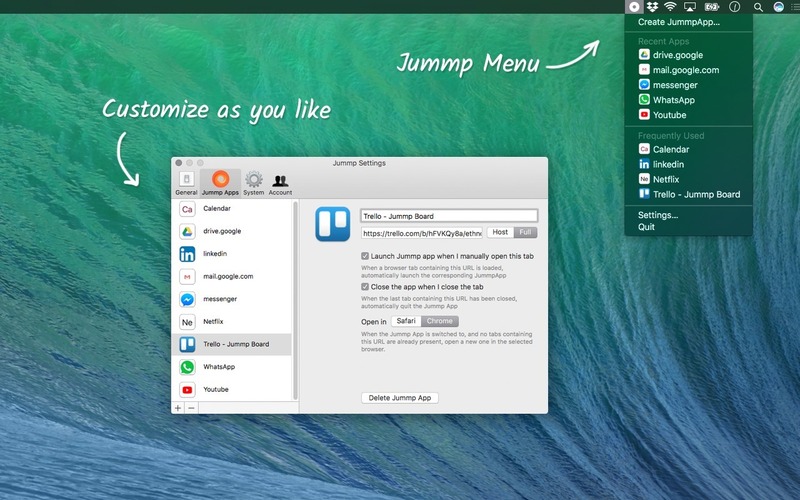 Jummp comes with a Mac app and a browser extension, which works with either Chrome or Safari. Jummp needs a rating. Be the first to rate this app and get the discussion started!